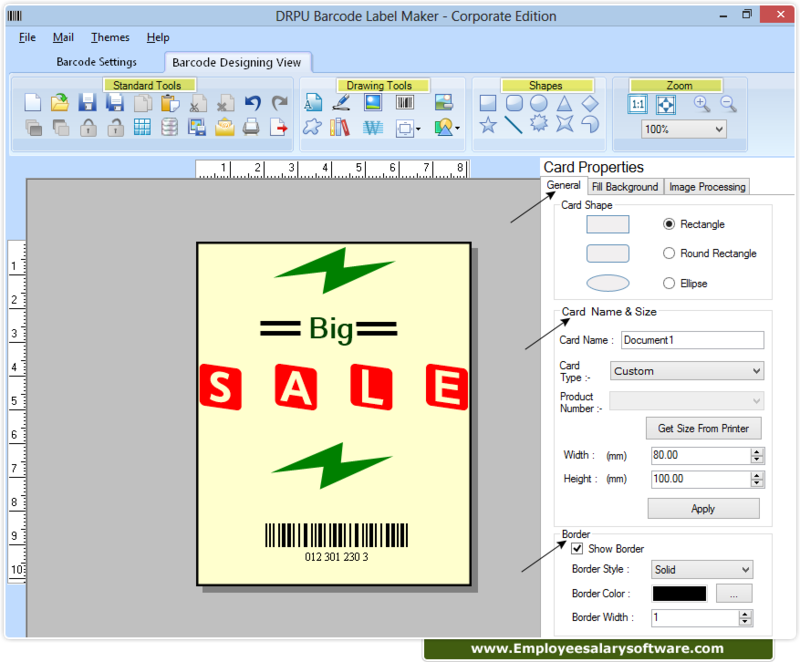 Specify Card shape, card Name and Size and boarder style using card properties. 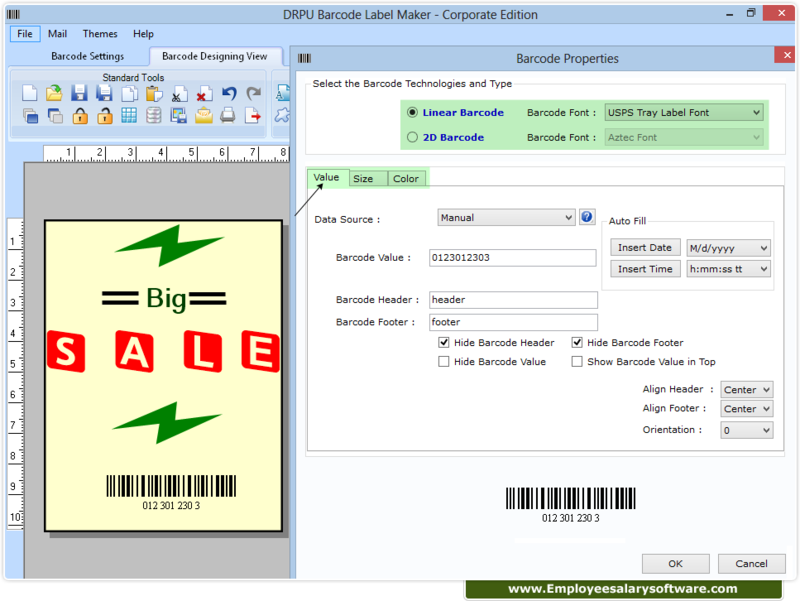 Set barcode header, barcode footer, barcode value and other options from Value tab. 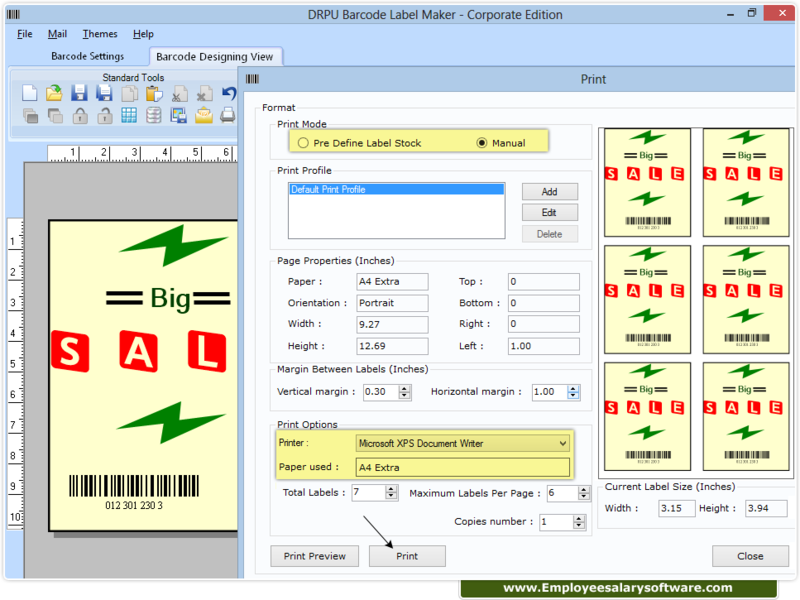 Select print mode (Pre Define Label Stock or Manual) and set other properties then click on “Print” button to start printing process.